As a work of historic fiction, you can't ask for more in this story! X is the love of Augustine that history just hasn't heard about. X is from a humble beginning, and her story is one of intense longing. X longs for her lost mother, her detached father, the love of a man that gives her a less than worthy proposal. She is forced to make choices in her life that will have ripples through time. The way that Suzanne M. Wolfe weaves the tale will bring you to tears! 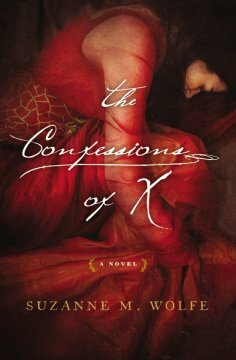 The Confessions of X is expertly written and you will feel as though it is your heart on the line! For mature themes I suggest this for a more mature reader. Suzanne M. Wolfe grew up in Manchester, England and read English Literature at Oxford University, where she co-founded the Oxford C.S. Lewis Society. 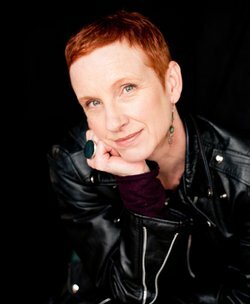 She is Writer in Residence at Seattle Pacific University and has taught literature and creative writing there since 2000. Wolfe is the author of Unveiling: A Novel (Paraclete Press, 2004). Twenty five years ago, she and her husband, Gregory Wolfe, co-founded Image, a journal of the arts and faith. They have also co-authored many books on literature and prayer including Books That Build Character: How to Teach Your Child Moral Values Through Stories (with William Kirk Kilpatrick, Simon & Schuster, 1994), and Bless This House: Prayers For Children and Families (Jossey-Bass, 2004). Her essays and blog posts have appeared in Image and other publications. Wolfe is currently working on a series of mystery novels set in Elizabethan London. She and her husband are the parents of four grown children. They live in Richmond Beach, Washington.